Labeling theory holds that deviance is not inherent to an act, but instead the result of the externally-imposed label of “deviant”. George Herbert Mead posited that the self is socially constructed and reconstructed through the interactions which each person has with the community. Thus, if the community labels an individual as “deviant”, the individual will integrate this label into his sense of self. A social role is a set of expectations we have about a behavior. They are necessary for the organization and functioning of any society or group. Deviant roles are very special roles that society provides for deviant behavior. Mental illness and homosexuality are two examples of labels given to individual displaying deviant behavior. People who believe in hard labeling believe that mental illness does not exist. According to them, these illnesses are entirely socially constructed when we attach the label “mentally ill” to a behavior. Soft labeling supporters believe that mental illnesses are not socially constructed. People who believe in hard labeling believe that mental illness does not exist – they are entirely socially constructed. Labeling theory: Labeling theory is closely related to social-construction and symbolic-interaction analysis. Deviant roles: Labeling theory concerns itself mostly not with the normal roles that define our lives, but with those very special roles that society provides for deviant behavior. social role: Labeling theory concerns itself mostly not with the normal roles that define our lives, but with those very special roles that society provides for deviant behavior, called deviant roles, stigmatic roles, or social stigma. Labeling theory is closely related to social-construction and symbolic-interaction analysis. It holds that deviance is not an inherent tendency of an individual, but instead focuses on the tendency of majorities to negatively label minorities or those seen as deviant from standard cultural norms. The theory is concerned with how the self-identity and the behavior of individuals may be determined or influenced by the terms used to describe or classify them. The theory was prominent during the 1960s and 1970s, and some modified versions of the theory are still popular today. Sociology – Labelling theory: Short presentation on labeling theory. Labeling theory had its origins in Suicide, a book by French sociologist Émile Durkheim. He argued that crime is not so much a violation of a penal code as it is an act that outrages society. He was the first to suggest that deviant labeling satisfies that function and satisfies society’s need to control the behavior. George Herbert Mead posited that the self is socially constructed and reconstructed through the interactions which each person has with the community. The labeling theory suggests that people are given labels based on how others view their tendencies or behaviors. Each individual is aware of how they are judged by others because he or she has adopted many different roles and functions in social interactions and has been able to gauge the reactions of those present. Labeling theory concerns itself not with the normal roles that define our lives, but with those very special roles that society provides for deviant behavior, called deviant roles, stigmatic roles, or social stigma. A social role is a set of expectations we have about a behavior. Social roles are necessary for the organization and functioning of any society or group. We expect the postman, for example, to adhere to certain fixed rules about how he does his job. Labeling theory hypothesizes that the labels applied to individuals influence their behavior, particularly that the application of negative or stigmatizing labels promotes deviant behavior. They become a self-fulfilling prophecy: an individual who is labeled has little choice but to conform to the essential meaning of that judgment. Consequently, labeling theory postulates that it is possible to prevent social deviance via a limited social shaming reaction in “labelers” and replace moral indignation with tolerance. 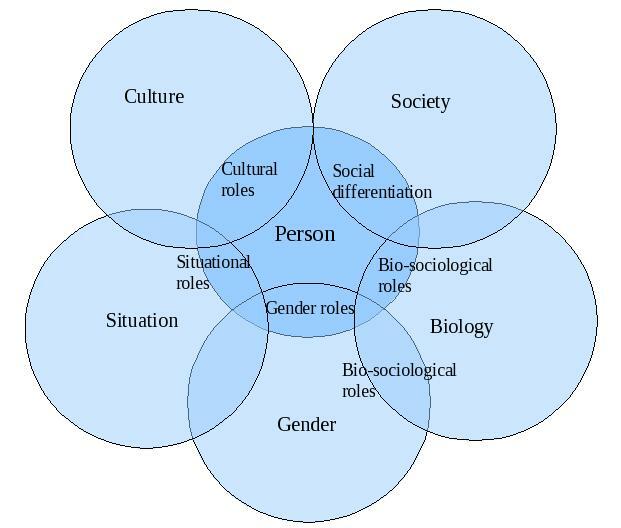 Social roles:. A social role is a set of expectations we have about a behavior. Social roles are necessary for the organization and functioning of any society or group. The social construction of deviant behavior plays an important role in the labeling process that occurs in society. This process involves not only the labeling of criminally deviant behavior, which is behavior that does not fit socially constructed norms, but also labeling that reflects stereotyped or stigmatized behavior of the “mentally ill.” Furthermore, the application of labeling theory to homosexuality has been extremely controversial. It was Alfred Kinsey and his colleagues who pointed out the big discrepancy between the behavior and the role attached to it. There are two distinctions in labeling: hard labeling and soft labeling. People who believe in hard labeling believe that mental illness does not exist. It is merely deviance from the norms of society that people attribute to mental illness. Thus, mental illnesses are socially constructed illnesses and psychotic disorders do not exist. People who believe in soft labeling believe that mental illnesses do, in fact, exist. Unlike the supporters of hard labeling, soft labeling supporters believe that mental illnesses are not socially constructed but are objective problems.